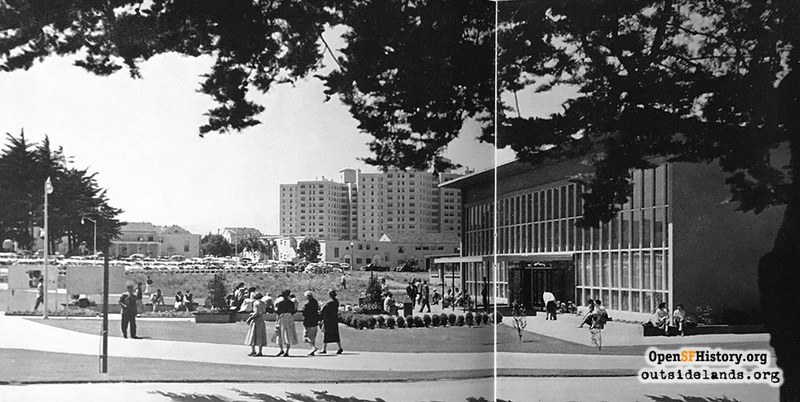 San Francisco State moved to its current location at Lake Merced in 1953. 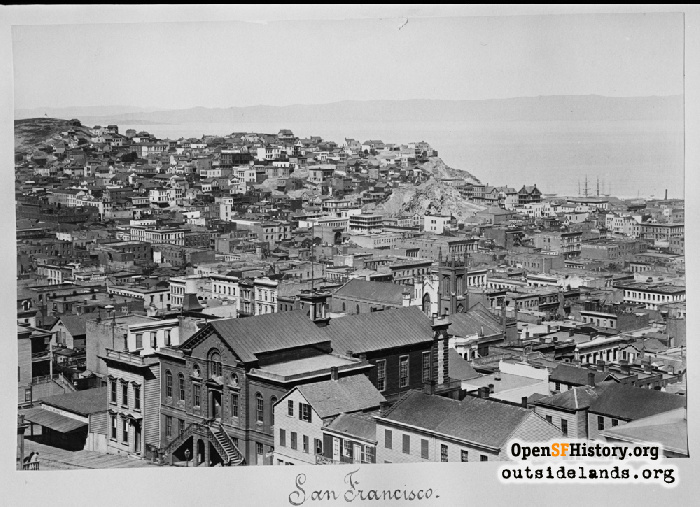 San Francisco State, like many city institutions, kept moving west. The school's origins date back to the State Normal School, a teaching college opened by Dr. Frederic Burk in 1899, with an initial graduating class of 36 young women. The school operated out of a rented Powell Street building on the east side of Nob Hill, which had held a series of San Francisco public schools. The earthquake and fire of 1906 destroyed the building and the Normal School needed a new home. 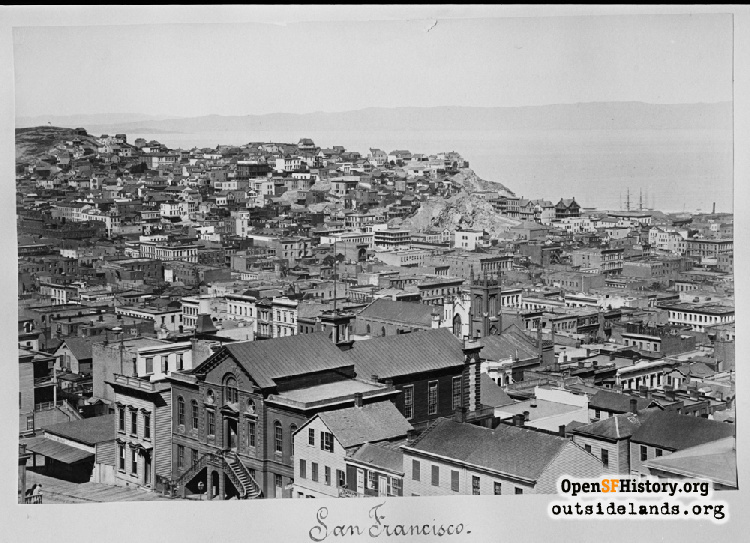 Dr. Burk moved the school to the corner of Haight and Buchanan Streets near the current United States Mint, and where for many decades the University of California Extension operated. There, the Normal School grew out of its humble teacher-training roots. In 1924, it was granted the right to confer A.B. degrees, and in 1935, its name was changed to San Francisco State College. A wider curriculum was developed, creating a true liberal arts college. With a growing student body approaching 1,000 students, land for a new campus on the shoreline of Lake Merced was acquired from the Spring Valley Water Company in 1937. World War II and land use discussions delayed any construction until the late 1940s. 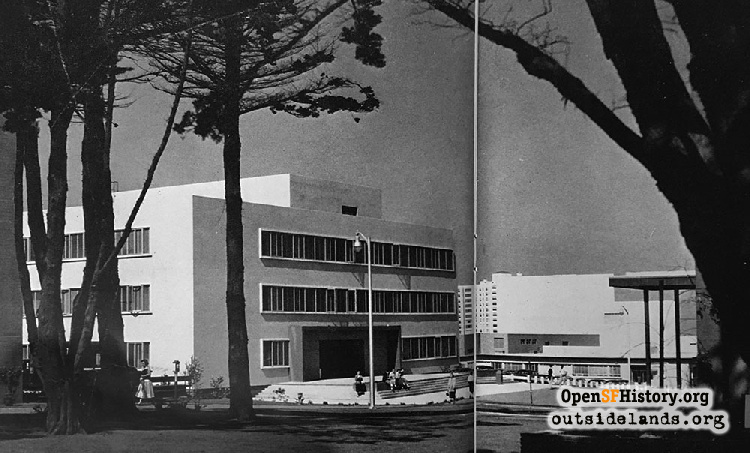 "During the years 1948-9, Mayor Elmer Robinson, the Board of Supervisors, delegates to the Legislature, the Chamber of Commerce, the San Francisco press, and Dr. Roy Simpson, State Superintendent of Public Instruction, united to develop a master plan for nine buildings on the new campus." The Administration Building was completed in 1953, and that year, under the leadership of President J. Paul Leonard, San Francisco State State opened on 94 acres to become a western neighborhoods landmark. Read more San Francisco State University history in Frank Dunnigan's Streetwise column. Contribute your own stories about western neighborhoods.